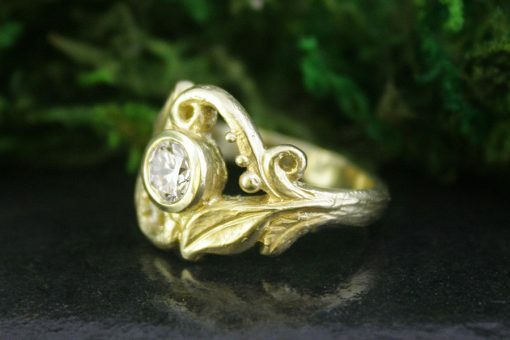 Hand carved woodland theme bridal wedding ring set infusing the spirit of the west coast forest. 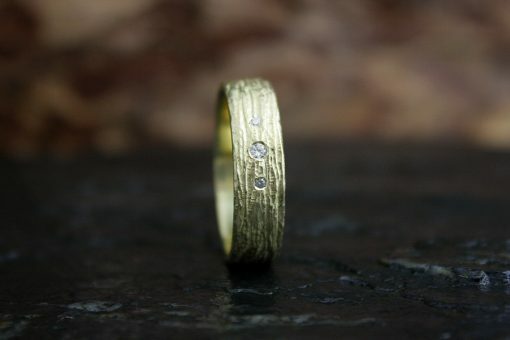 Earthy bark textures, leafy embraced diamonds, to celebrate your union. 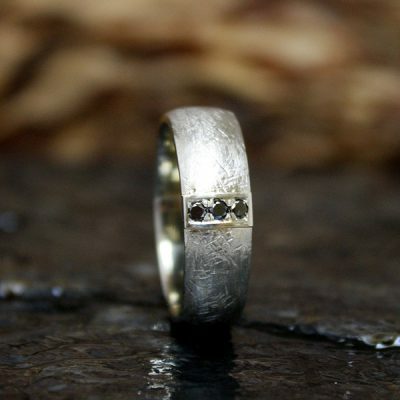 Available with or without diamonds. 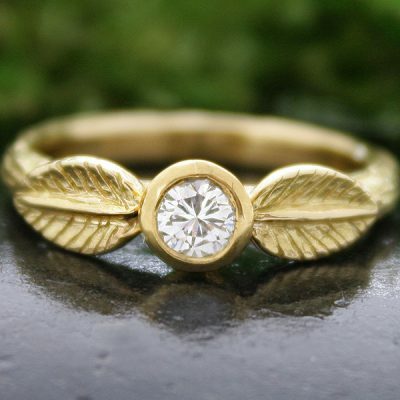 The Cathedral Grove ring is carved twigs and leaves that embrace and frame a .53 carat SI H colour diamond. 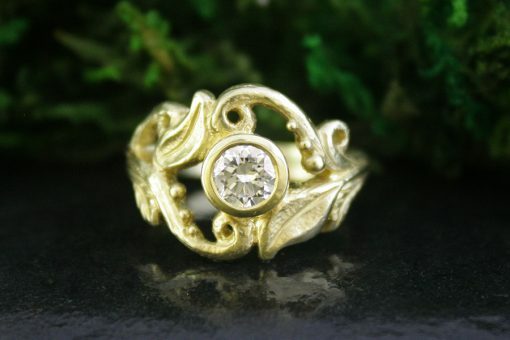 This ring is part of my Forest Nymph family of rings. Inspired by the southern BC forest, in Canada. 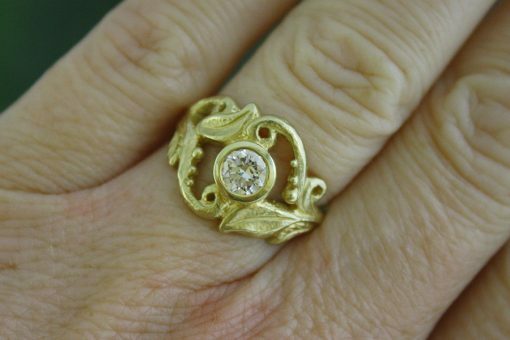 I hand carved this woodland themed ring to echo the peace and tranquility felt under the canopy of these trees. A place I call home. Cathedral Grove is the matriarch of the Forest Nymph line. She is the one that holds space for the saplings. 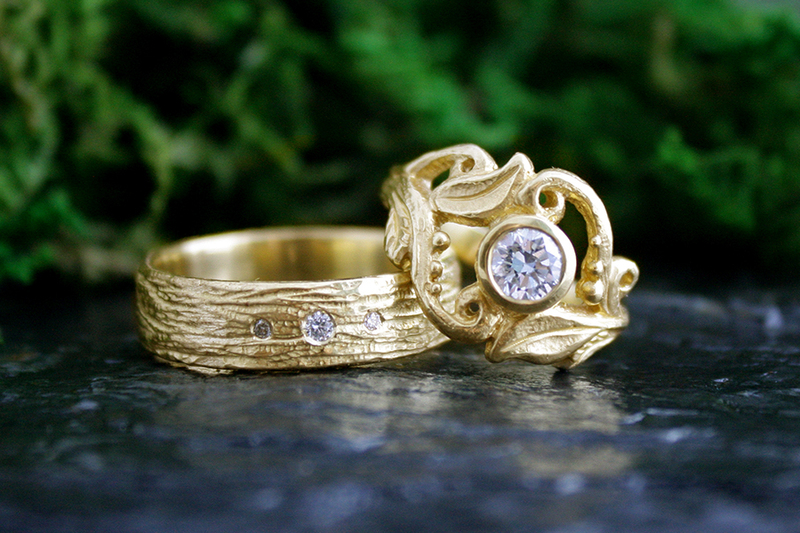 Sitka, Rowan, Madrone, Sequoia, and the darling Sprig Ring. Cut from bedrock and rich, moist soil. Deep roots. Purifying and protective. Dew drops from a gentle rain. 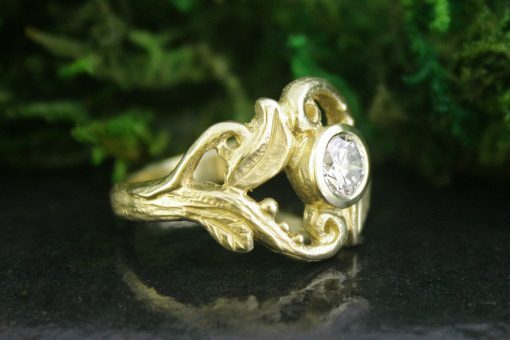 Delicately wrapping tendrils, embracing a .53 carat SI-H diamond, set in rich 18k yellow gold. 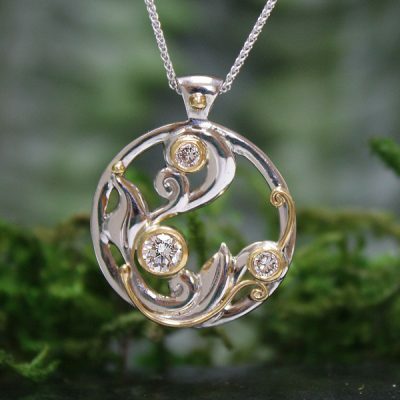 Cathedral Grove is available in white, yellow or rose gold and other gemstone options. Please contact me for pricing on your favourite gemstone.